It's been a busy couple of months in New South Wales with a huge volume of road projects breaking ground. While a substantial number of road and redevelopment projects pass council approval and enter the tendering stage, construction continues on works like the Alfords Point Road and Menai Road intersection in South Sydney. Part of the NSW Government's $246m Pinch Point program targeting Sydney's weekday peak traffic issues, the $2.5m major upgrade features a second southbound left-turn lane from Alfords Point Road into Menai Road in South Sydney. The upgrade also involves re-laying of the roads, including adjusting underground utilities, constructing a retaining wall and extending concrete footpaths. Work on the intersection commenced on March 1, 2015, and is expected to be completed on September 4 this year. Alfords Point Road and Menai Road - photo credit: Roads and Maritime, NSW. The redevelopment precinct in the heart of what is emerging as Sydney's "second CBD", worth up to $2b, is to be constructed in six stages. Worth $220.5m, the first stage is a six level office tower and eight level campus building - which will accommodate 10,000 students - for the University of Western Sydney, developed by Leighton Properties Pty Ltd.
Leighton Holdings and the project's builder John Holland have been making use of PlantMiner's plant hire search services since we first launched. Gain an advantage over your competitors and access more projects like this, by registering as a supplier today. 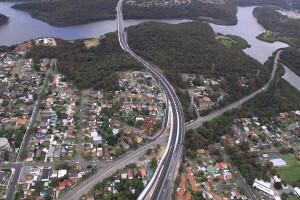 The 9.8 kilometre planned extension of the M1 Princes Motorway between Yallah and Oak Flats, in Illawarra, has passed approval. Featuring four lanes (two in each direction) with capacity for additional lanes, the bypass will deliver a complete high-standard road connection from Sydney to Bomaderry. See a fly-through video of preferred option here. Involving a 12 kilometre dual carriageway upgrade to the Pacific Motorway has been described by the NSW Roads Minister Duncan Gay as Coffs Harbour's "top project". Mr Gay committed $200m of State funding to the bypass earlier this year. He's confident the Federal Government will deliver the remaining $800m required to complete the joint-funded project. Construction on the project - which runs from south of Englands Road to Korora Hill, north of Coffs Harbour and includes a western bypass of Coffs Harbour - depends on these negotiations. Once they've been finalised, the project will begin an environmental assessment and seek planning approval. 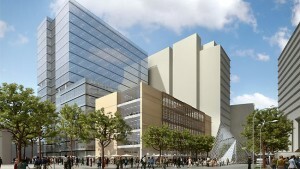 The project is expected to go out to tender towards August and will be one to watch as it will be a major development.